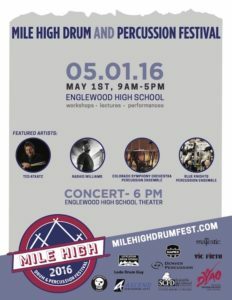 DENVER, CO – The inaugural Mile High Drum & Percussion Festival (website) will take place on Sunday, May 1, 2016 at Englewood High School (map). This event is a collaborative effort produced by Ascend Performing Arts and Denver Young Artists Orchestra (website) and is sponsored by Mapex Percussion, Majestic Percussion, Vic Firth, Zildjian, Littleton Drum Studio, Lodo Drum Guy, Scientific & Cultural Facilities District and the Englewood High School Band Boosters. 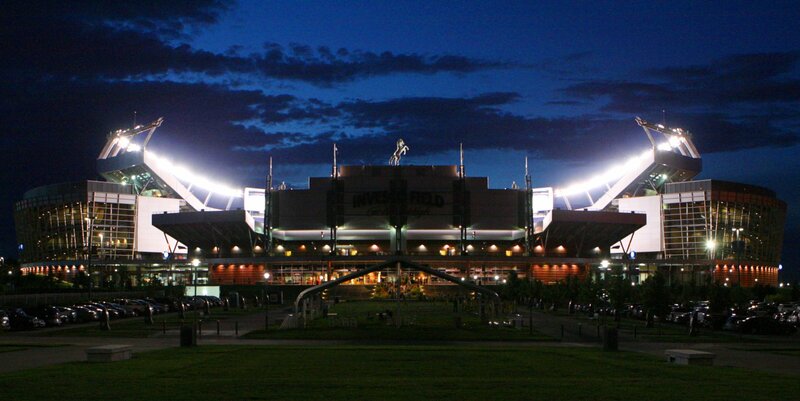 The day will be full of performances and clinics by leading artists and ensembles in the percussion industry. NOTE: Food and refreshments will be available for purchase throughout the day from 10:00am-5:00pm provided by our host, the Englewood High School Band.